If we are in pain or suffering it is because we are not aware. When we ignore or suppress pain or suffering in our body, it doesn’t go away. Instead, it becomes stronger and deeper. Next time you are in pain, try this. Attend to the pain by placing all your attention on the part of the body where the pain seems to be. Do not use the word pain as you understand its meaning while doing this. Do not let your judgment of what pain is, affect your attention. Express love and gratitude for the part of the body, affected by pain. You will notice a shift in your thought pattern and emotions. You will see that gradually and totally your being becomes transformed. You will see that the paining body, which is the gap between the physical body and the mental body, totally disappears. Your body may still feel the pain, but there will be no suffering! Whenever our suffering is attended to whenever our depression is attended to, we can immediately see that it disappears. In all cases, it will lessen. If we don’t attend to it, the pain becomes stronger and deeper. Meditation upon pain can remove the suffering. 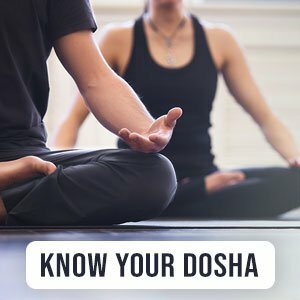 Doctors, especially oncologists, tell me that meditation techniques have worked miracles in pain management. When we consciously create our awareness, attention and presence on the place where there is pain, the pain will disappear. Pain is nothing but unawareness. Centre your attention on the place of pain, create awareness of the pain, acknowledge the pain, and create a conscious presence for the pain. Creating awareness to your body and to your pain, is another way of living ‘now’ and ‘here.’ Every time we live in a fast-phased life when we have no time to pause between moments, or even tasks, and bring ourselves into present, we are not living in the moment. We kill the moment instead of living it. When we think of the past or the future, we kill the next moment and the next. We are killing the moments as we live now As long as we don’t live now and here, we do not live in the present moment. We kill the moment. We kill life. We don’t live it. When we come to now, here, we start living life. We start enjoying life. Unless we come to now and here we can’t enjoy our whole mind. We will only live life as a dead and dull mechanism. Being in the moment, living in now here makes you alive and gives you a living. Live here, now –now, here, or nowhere. If we cannot and if we don’t live now, here, we will reach nowhere. We will be nowhere.